Bernie won the Democratic Primary in Sonoma County by 52 to 47%. In a society where the world’s most powerful corporations use campaign donations as a form of bribery to finance misinforming TV ad campaigns for their favored politicians, millions of ordinary Americans are stepping up to be the change we want to see in our political system. By sharing information with friends and family over our social networks on an unprecedented scale, we are replacing the brainwashing TV ads and the establishment-biased corporate media propaganda that have been used for decades to misinform our fellow Americans. Bernie Sanders and this people-powered media revolution have made the Democratic Presidential Primary the most transformative election of a lifetime. Facebook timelines, Twitter feeds, and Reddit reads have replaced nightly network news and newspapers for tens of millions of Americans. It is no coincidence that the second American Revolution initiated by Sanders’ candidacy is being fueled by the under-30 generation. According to an authoritative media habits study Americans 18-29 years of age are more than three times as likely to discover news through social media than adults 60 and older (71% vs. 21%). Pro-Clinton baby boomers gripe that the reason our youngest citizens vote with record-breaking majorities for Sanders is that they are gullible or misinformed. I believe that the opposite is true: When it comes to politics, thanks to the democratizing impact of independent people-powered media, many young voters have become better informed than their elders. Instead of listening to the deceptive anti-Sanders spin that constitutes election coverage from our corporate media gatekeepers, young Americans, along with a growing class of independent-minded voters, are now sharing political news across their social networks. We are witnessing a new era of political accountability. Web videos of politicians in their own words, with immediate linkable access to voting records and the consequences of past positions, are providing a level of transparency unimaginable in past election cycles. Citizens are now participating in crowd sourcing news on one another’s Facebook timelines. We are accessing the “wisdom of crowds” to create an incorruptible meritocracy of information, one with no bias toward advertisers or the powerful. 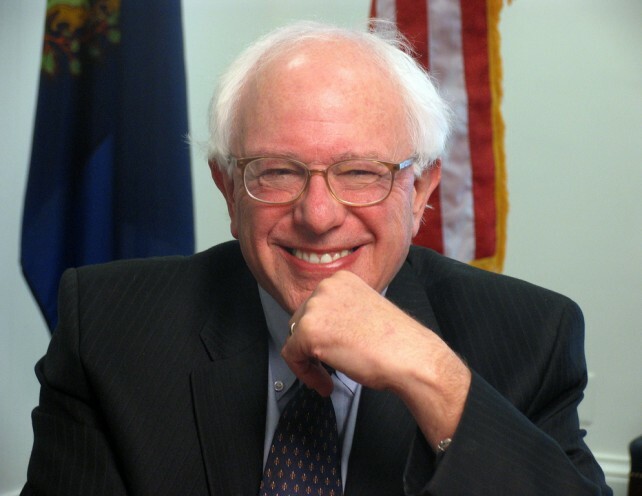 Will the Sanders Revolution Beat the Corptocracy’s Propaganda Machine? This has happened through a deliberate hijacking of democracy that has relegated the role of the American media, 90% of which is now controlled by only six companies, to that of an entertainment industry with no legal obligation to fairness, truth, news, or anything but its own profits. It was not meant to be this way. In 1949, the Federal Communications Commission (FCC), introduced the “Fairness Doctrine,” which required broadcasters using the “public airwaves” to present both sides of issues of public importance. It was the “Reagan Revolution” of the 1980’s that used the mantra of deregulation to transform the news media into a tool for uncontested corporate propaganda. Using the “money is speech” legal argument that later triumphed in the notorious Citizens United case, President Reagan’s FCC Chair released a report finding that the Fairness Doctrine violated a media corporation’s First Amendment rights. It soon voted to abolish the Fairness Doctrine. Since that time, an unstoppable propaganda machine has controlled our electoral process, greased by billions of dollars in corporate campaign contributions to both Republicans and Democrats. Most of this money is spent buying buy manipulative, carefully orchestrated short TV and radio ads on a half dozen media conglomerates during election years. 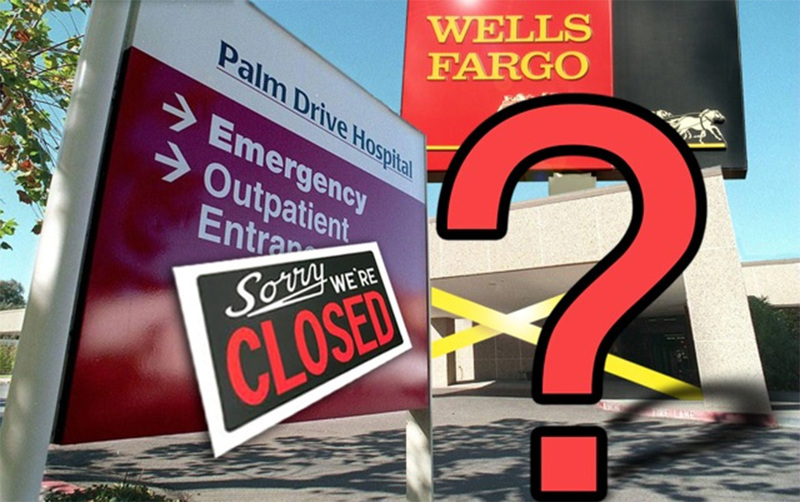 Corporations, government and the media have formed a seemingly unbeatable trinity of political power that guarantees that regardless of the candidate, the Corptoracy wins on Election Day. This is the rigged system that Bernie Sanders believes needs to be overturned. Corporate media pundits say that it will take a miracle for Sanders to win the nomination. 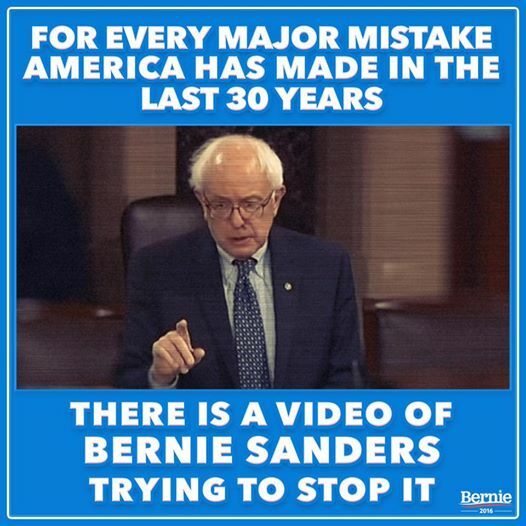 But they have said that about Bernie since his campaign began, and with the help of a record two million small campaign donors, Sanders has proven the pollsters and pundits wrong time and time again. Somehow the endorsements of 40 out of 41 Democratic Senators, as well as 95% of the Democratic Members of Congress is failing to work its historic magic for Hillary Clinton. In the recent Hawaii primary, Clinton received the endorsement of both of the state’s Senators and its Governor. Yet Bernie won Hawaii in a landslide, with 70% of the vote to Clinton’s 30%. Some of the best independent journalists in the country are finding their largest audiences ever as they step forward to shatter the false narratives spread by the establishment media. What these journalists have in common is that their livelihoods do not depend upon the support of corporate media bosses. For instance, Naomi Klein’s scathing critique of the Clintons in last week’s Nation turned the argument that climate change can be curbed with new cap and trade opportunities for Wall Street on its head. And this breakthrough column by Michelle Alexander, author of The New Jim Crow, pulled back the curtain on the Clinton Administration’s major role in expanding the nation’s drug-war-fueled prison population boom. Titled, “Why Hillary Clinton Doesn’t Deserve the Black Vote,” it shattered the myth that Clinton is the stronger civil rights candidate in this year’s primary. In my last Huffington Post blog about the Sanders-Clinton contest, I called attention to other false narratives that have become conventional wisdom among most voters. While corporate media pundits promote the myth that Sanders’ positions are far from the Democratic mainstream, I pointed out the unreported fact that 81% of Democrats (and 55% of all Americans) support Bernie’s position on Medicare for All. Another widely spread whopper is that Bernie and Hillary have similar views on reforming our criminal justice system. To the contrary, he (along with 2/3 of Democrats) believes in full federal decriminalization of marijuana, while Clinton would merely reclassify marijuana from a Schedule 1 to a Schedule 2 drug. Where in the mainstream media has anyone reported that this is the same classification as heroin and cocaine? Or that it will allow a continuation of the same federal war on victimless marijuana crime that we have today? Then there is the media narrative claiming there’s no way our nation can afford to provide free tuition for public colleges. I have yet to read a single campaign reporter mention that 75% of the cost of public colleges is already paid for by our local, state and federal government, and that all Bernie proposes is to replace the remaining 25% that students and their cash-strapped families contribute. The CNN exit polls from the recent Wisconsin primary asked 1,774 voters what their most important issue was, and how they voted. For those that said experience was the most important factor in their decision, Hillary won 84% to Sanders’14%. Those who cared about electability voted 64% for Hillary (Bernie won 83% of those who picked trust as their core quality). Clearly the most effective Clinton propaganda has been the belief that Hillary has more political experience than Bernie, and that she is more “electable.” Both of these widely circulated narratives are lies. Sanders has served as a government official for 34 years now—nearly triple the 12 years that Clinton has served. And as I reported a few weeks ago, because independent voters favor Sanders over Clinton by enormous margins, in every one of the many national polls conducted to date, Bernie is far likely to win than Clinton when facing off against Trump, Cruz or Kasich this November. Bernie Sanders’ political revolution, which is in essence an urgently needed reformation of our corporate corrupted government, is not being televised by the networks, whose TV viewership shrinks every year. It is instead being seen over the Internet by tens of millions of newly empowered Americans. An “emperor’s got no clothes” media revolution has arrived for many voters who are democratizing the control of information by sharing it with the click of a mouse. Web video shared over social networks has blown the corporate media’s litany of false narratives out of the water. The crowds packing stadiums to see Bernie Sanders are present in exponentially greater numbers on Facebook. Videos shared from the Facebook page of the Sanders campaign are receiving well over double the number of views as Clinton’s Facebook videos. The top video from Sanders’ Facebook page titled, “Sanders stands up for veterans,” has been viewed more than 11 million times. On the Huffington Post, this powerful whistle-blowing video called “Bernie Sanders Has Changed America,” by Oscar award-winning Inside Job director Charles Ferguson, has been viewed 9.4 million times. To put these numbers in perspective these two videos have been seen by more viewers than any TV news show. In fact, more people have watched these two videos alone than have voted in the Democratic primaries to date for both Clinton and Sanders. And these two videos are just a tiny tip of the iceberg when it comes to viewing election news online. Paul Krugman’s misleading Sanders-slamming columns in the New York Times are a lot less persuasive to those 3.7 million people who have viewed a web video comprised entirely of Hillary’s televised appearances over the years titled, “Hillary Clinton lying for 13 minutes straight.” Or the one that made me a dedicated Sanders supporter: this video containing the side by side Sanders and Clinton Iraq War vote speeches on the Senate floor. There is no spin involved in hearing Senator Clinton in 2002 express her support for the disaster that was the Iraq War. Or to hearing Sanders’ reasons for opposing it, including prescient warnings about the war’s consequences. The Clinton campaign is trying to push its establishment media success to the Internet, but without an army of authentic supporters to match Sanders, it has resorted to desperate measures. According to an expose from the Sunlight Foundation, late last year a pro-Hillary “dark money” organization acquired a website called Blue Nation Review (BNR). Now run by Peter Daou, formerly Clinton’s digital strategies manager. BNR’s purpose is to provide a steady flow of malicious content about Bernie Sanders. Given where this is coming from, I found this recent column titled, “TOXIC: The culture of Bernie’s Campaign,” a wonderful example of the political hypocrisy that characterizes the Clinton campaign’s carefully placed, corporate media-spread false narratives. Unfortunately for the Clinton campaign, political AstroTurf withers and dies under the watchful gaze of authentic grassroots activists. Paul Krugman’s over-zealous attacks on Sanders in the New York Times has decimated his own reputation (just look at reader comments), especially for the hundreds of thousands who have seen this scathing video critique of the columnist’s suspiciously inconsistent arguments. “We need to break through the fog of the corporate media, which does everything that they can to keep us entertained without addressing the real issues,” Sanders said. Two of the greatest unknowns about the future of the Second American Revolution are whether Bernie will succeed in transforming the democratic process if he wins, and what will happen to his enormous network of grassroots supporters after the election if he loses? Both questions may have the same answer. A nr. Millions of social-networking, transparency-enabling citizens will continue to demand the kind of responsive government that Sanders promises: One that places the interests of the people before the corporate and billionaire donors of political campaigns. In the battle for the brains of American voters, the genie of people-powered media is not going back into the bottle. Our democracy is being transformed, one shared web packet of information at a time.